Court texted me the other day and told me the kids were jonesing for a sleepover at Nana and Papa’s. So yesterday afternoon, the three of them arrived with their rolling backpacks for a mini-vaca. There were Pop-Its which provide all sorts of fun. 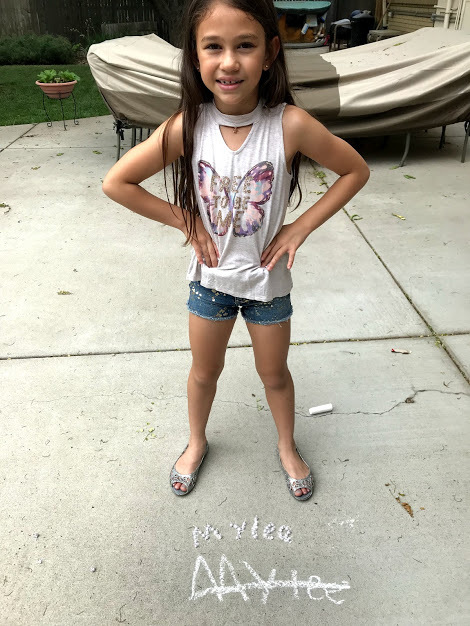 Mylee used them to spell out her name. Once the photo was taken, she stomped them all at one time….. 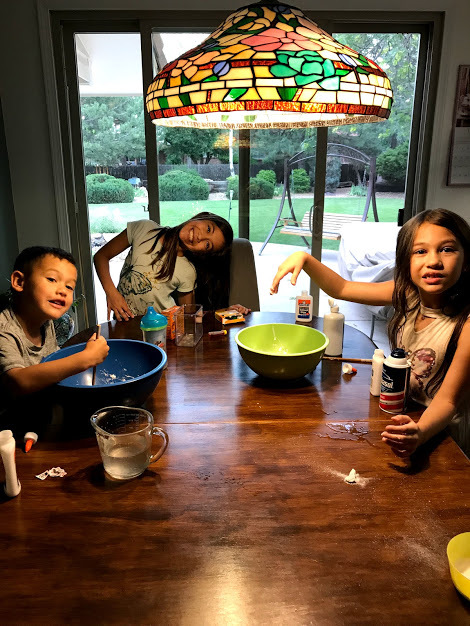 They managed to convince me that slime was on the docket…..
Can you say red food coloring? Finally, the evening concluded with banana splits….. I wonder why they like coming to our house. 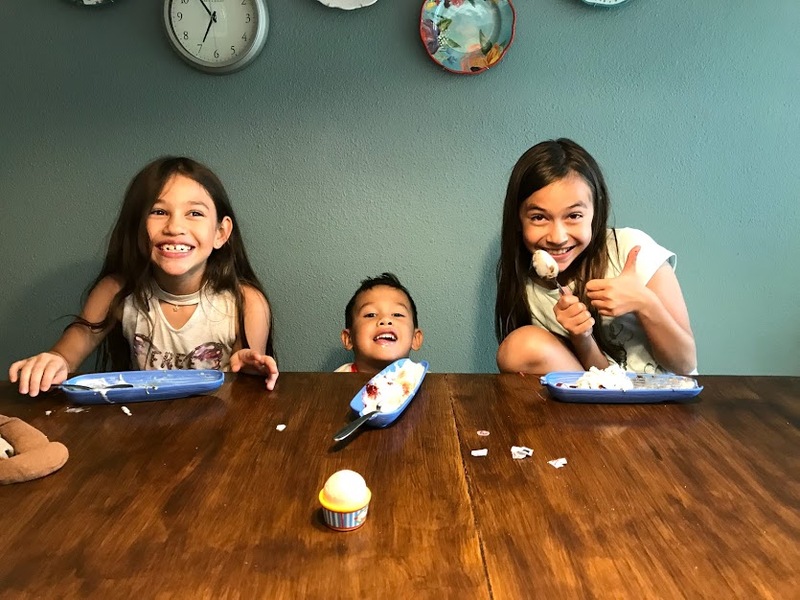 My grandkids always make me smile! I’m glad to see Cole is back on board for smiling in pictures!